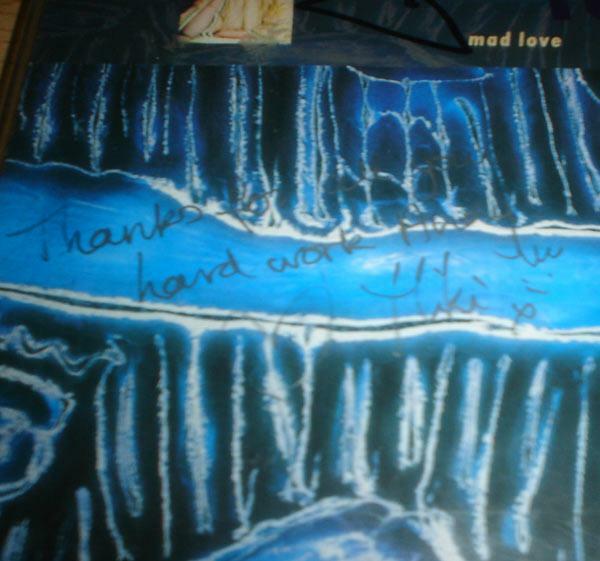 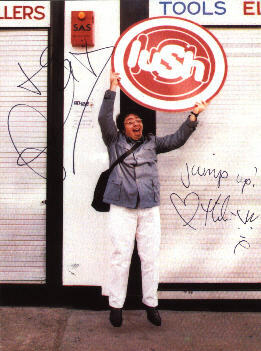 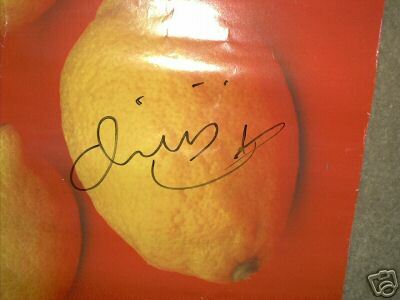 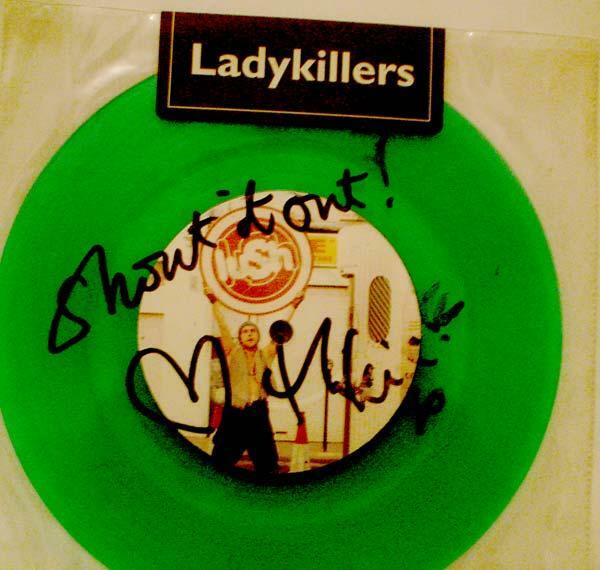 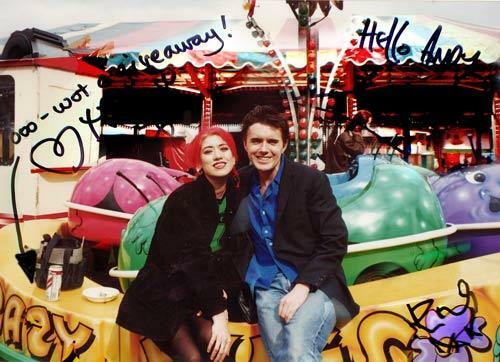 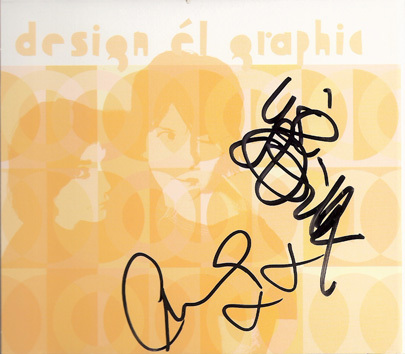 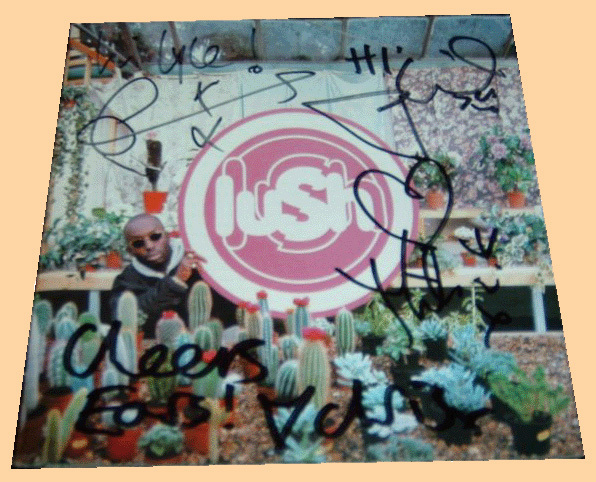 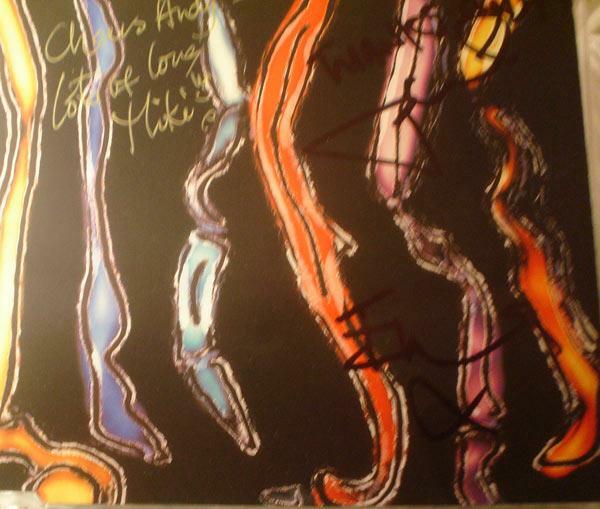 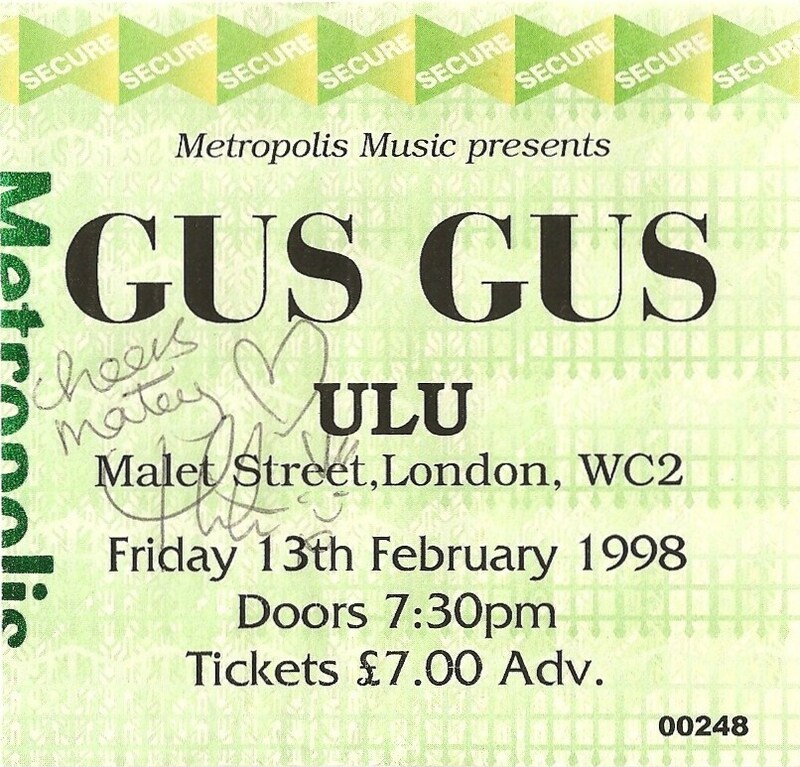 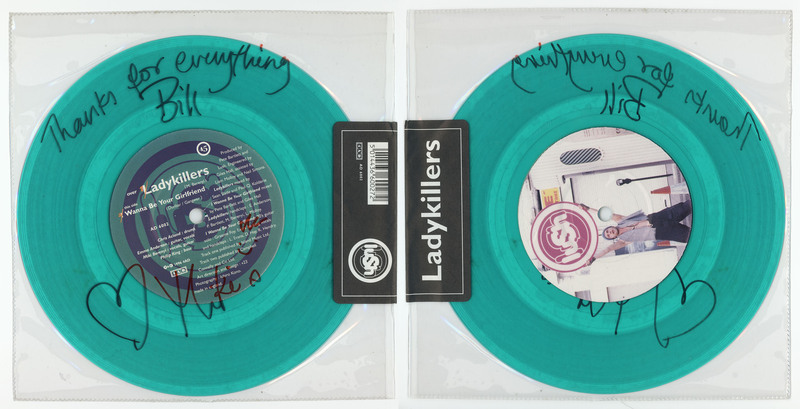 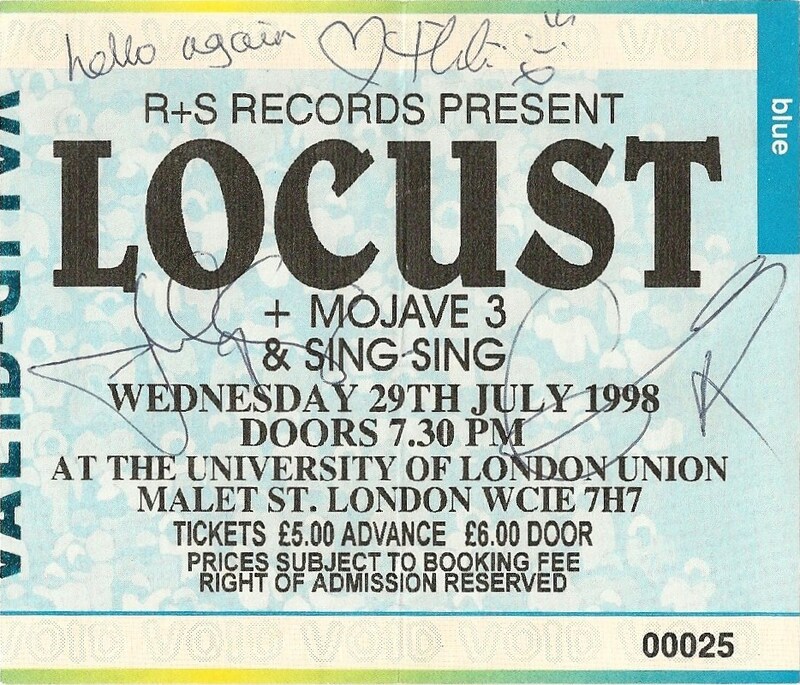 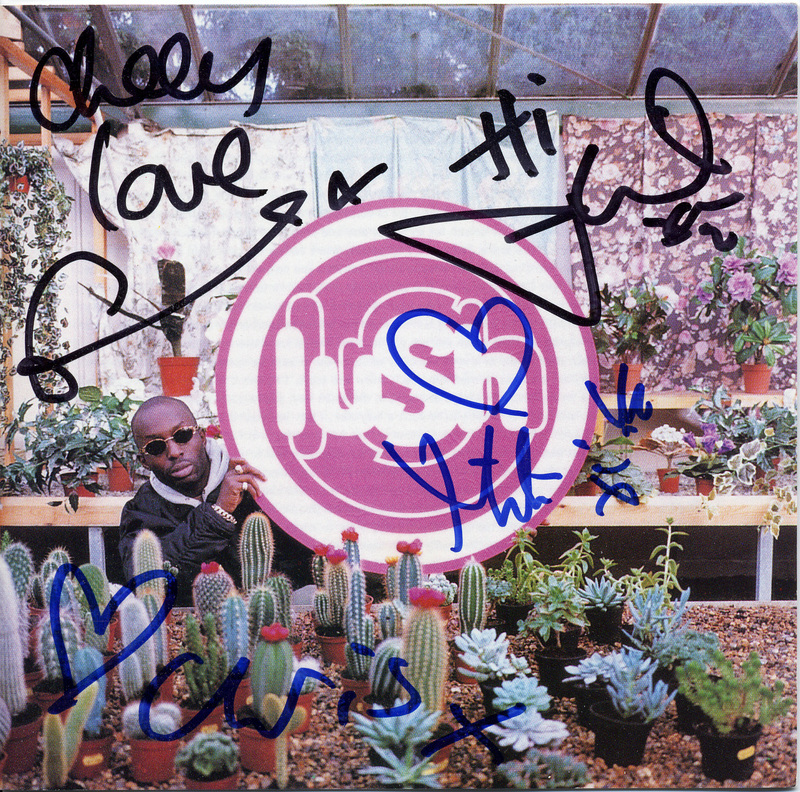 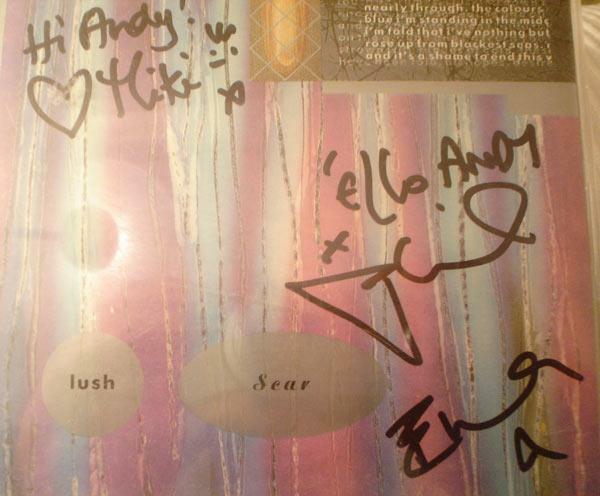 The band members often took the time to write fun little comments along with their signatures. 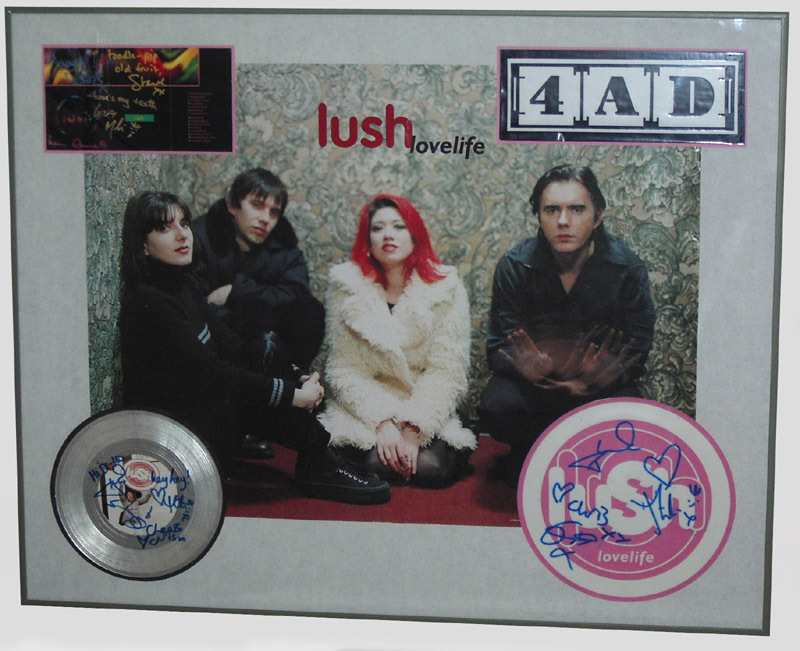 All items signed by all four band members unless otherwise indicated. 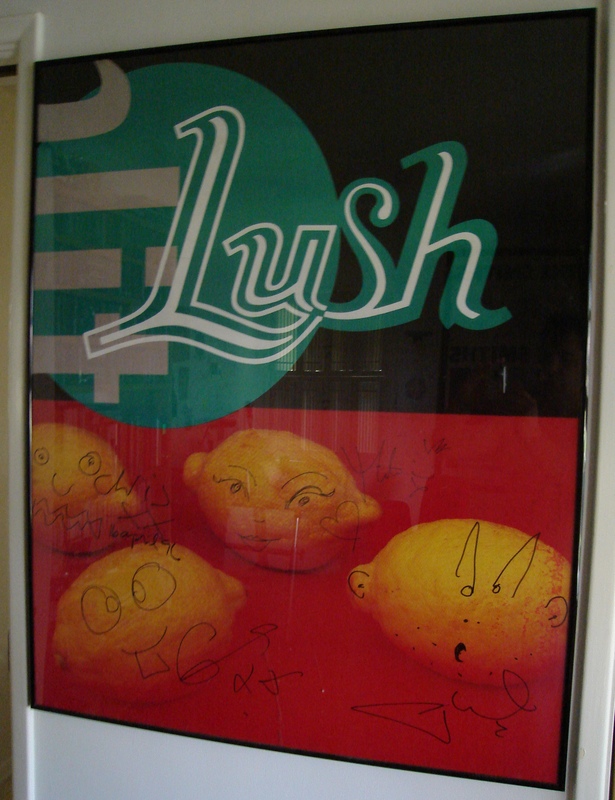 Read the story behind it here. 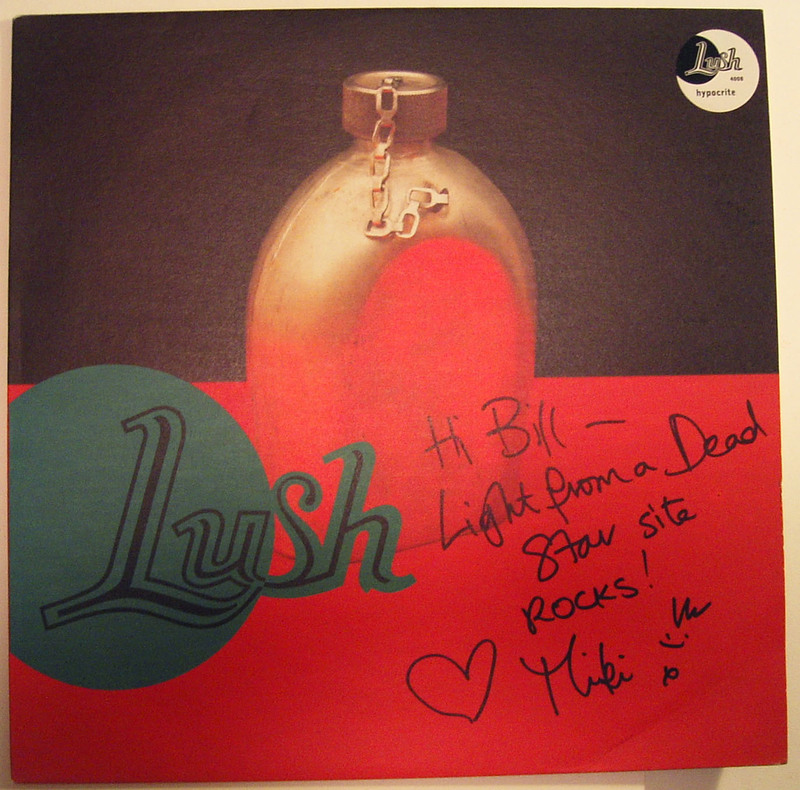 Notice the hilarious comments, typical Lush. 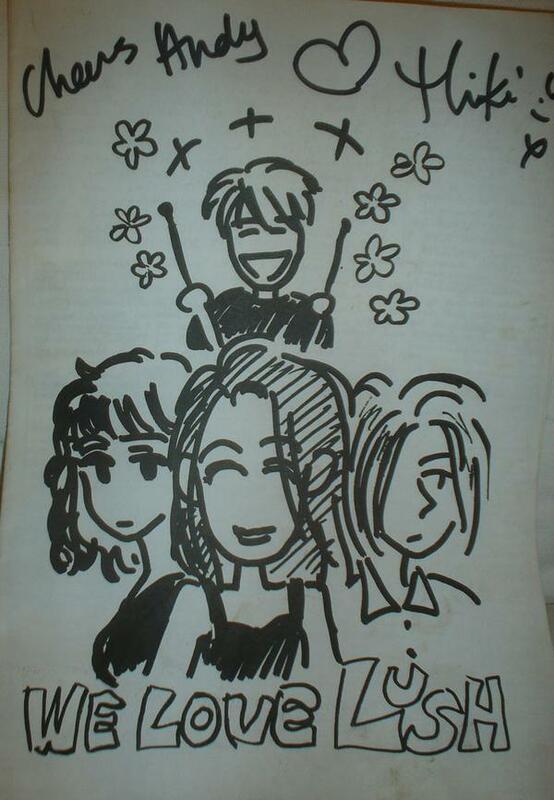 The logo was hand-drawn by Chris S, who donated the actual shirt to this website. 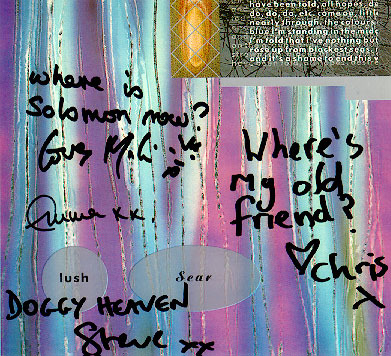 Thank you Chris! 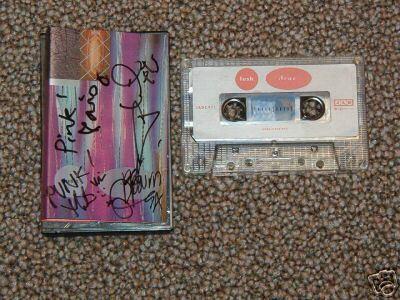 Be sure to read the great stories behind these rare items here. 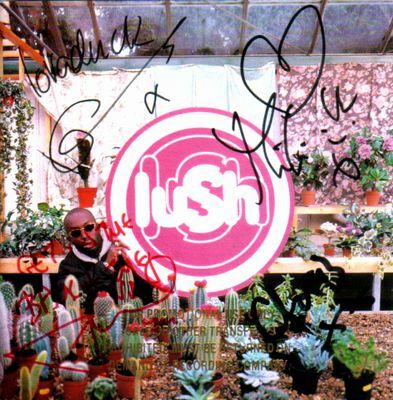 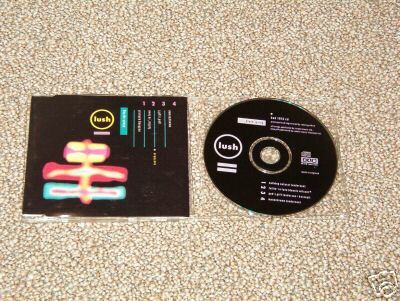 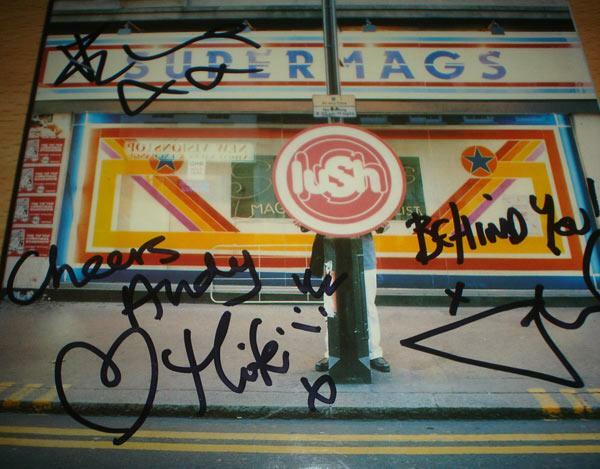 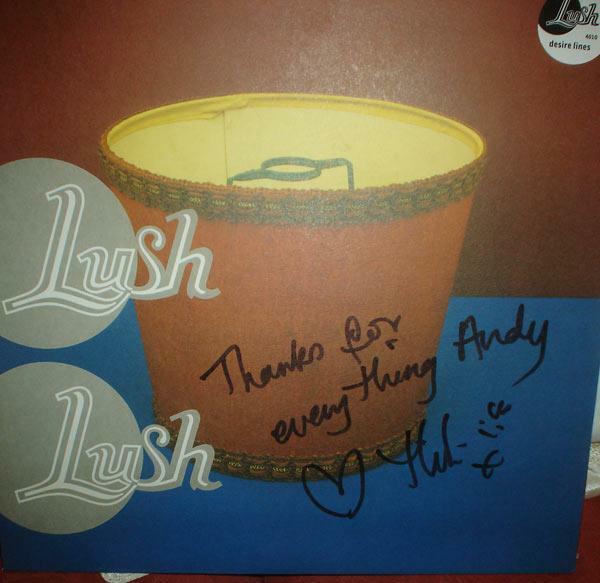 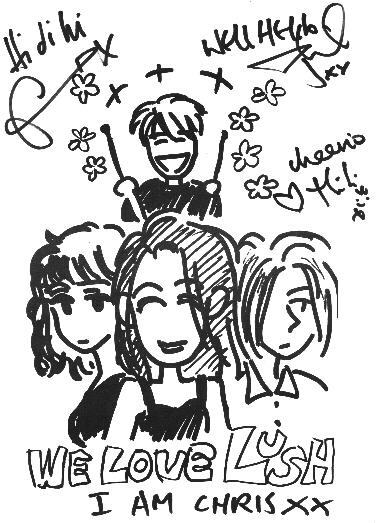 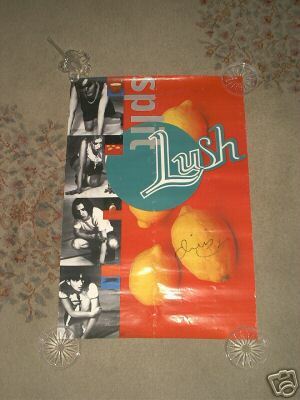 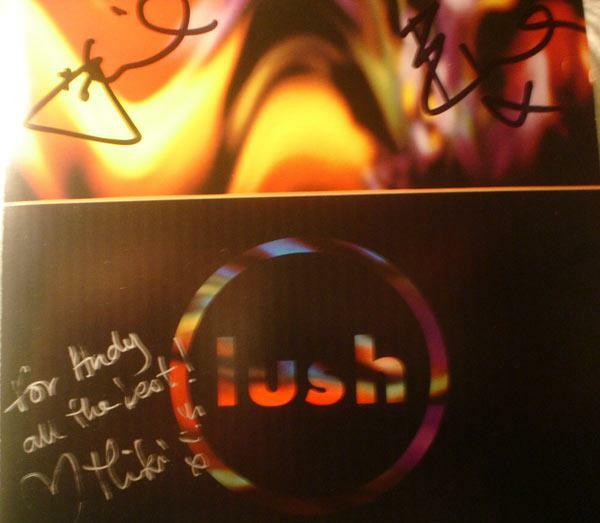 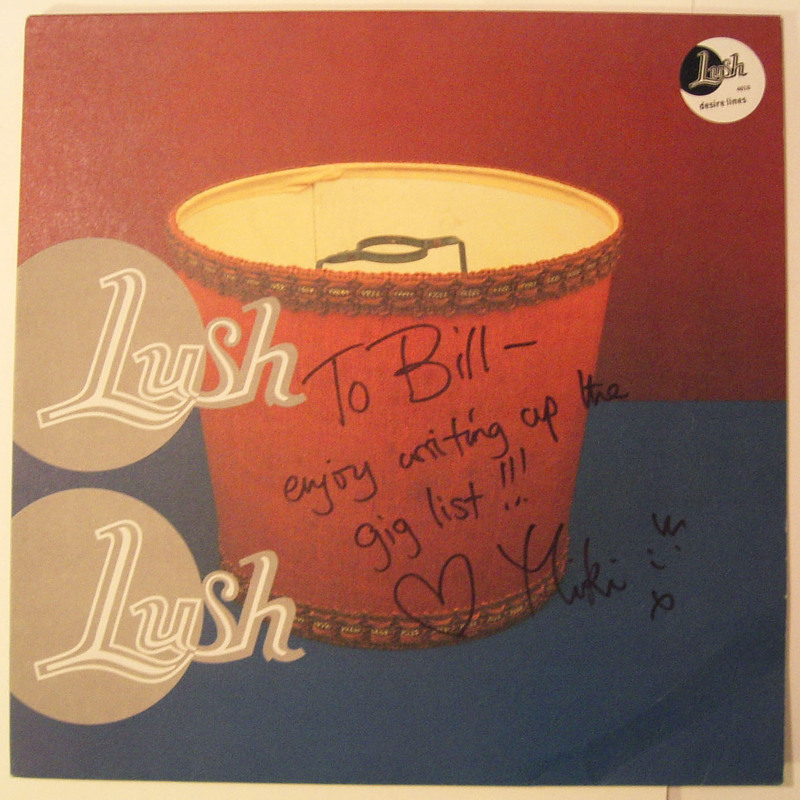 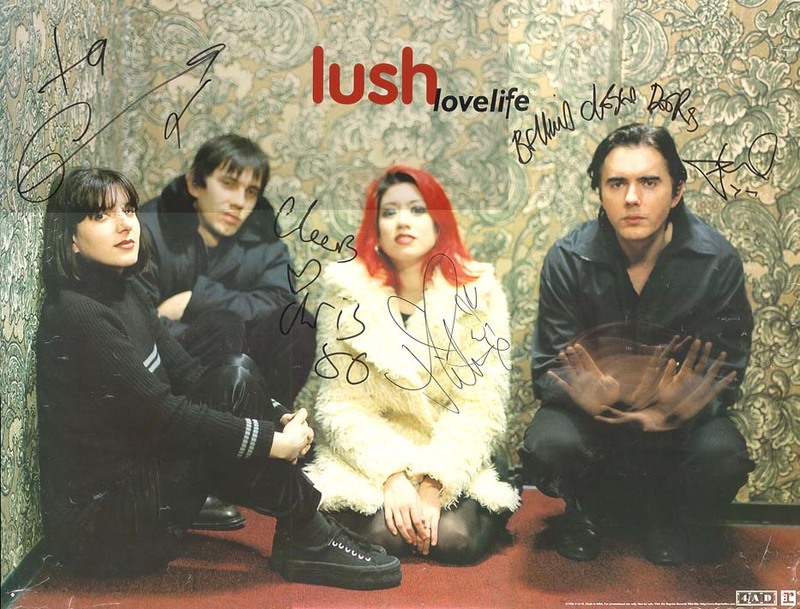 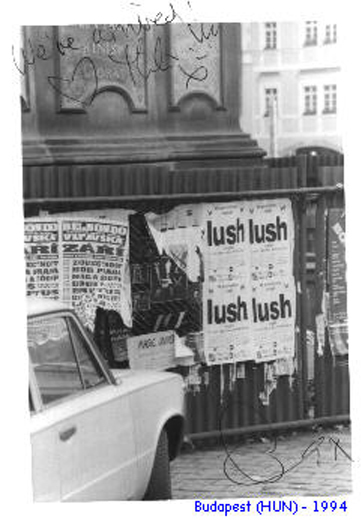 Many thanks to Sam H for recounting his meeting the band members, soon after they had formally announced the end of Lush. 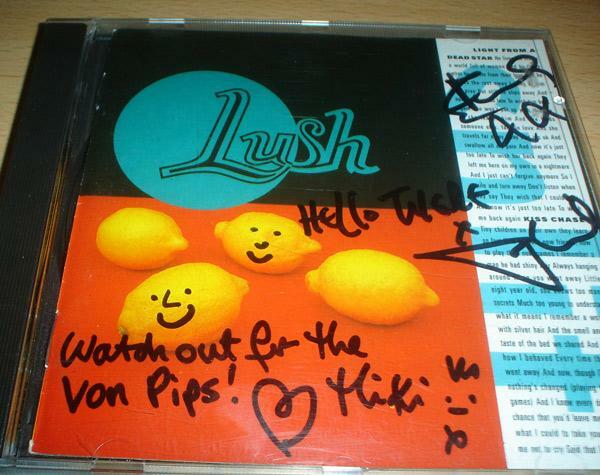 These 16 items belong to Andy Von Pip (lucky guy!) 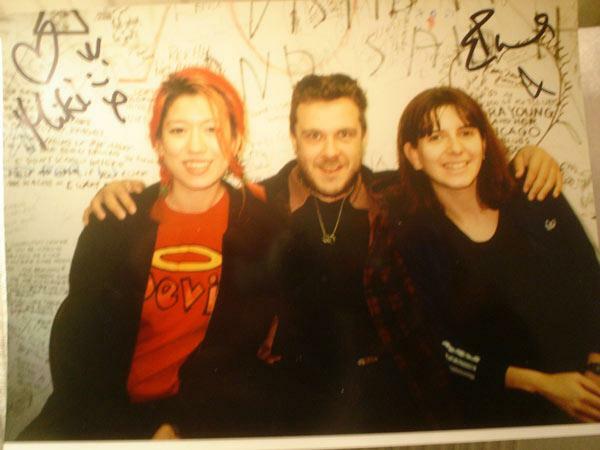 who runs the We Miss Miki website and the VPME Music Blog. 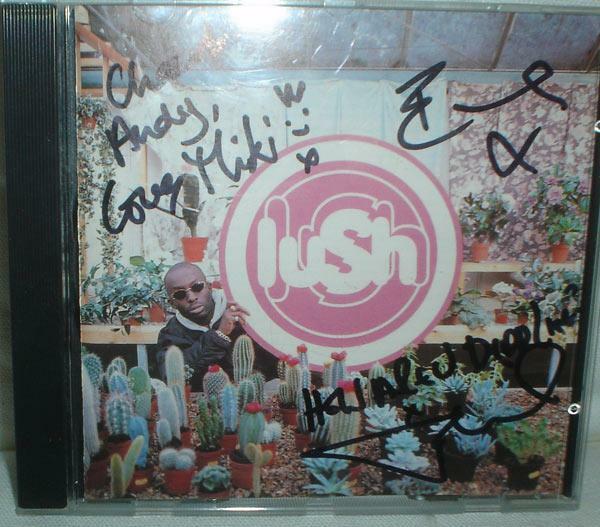 Notice that some of these are signed by all 3 remaining band members! 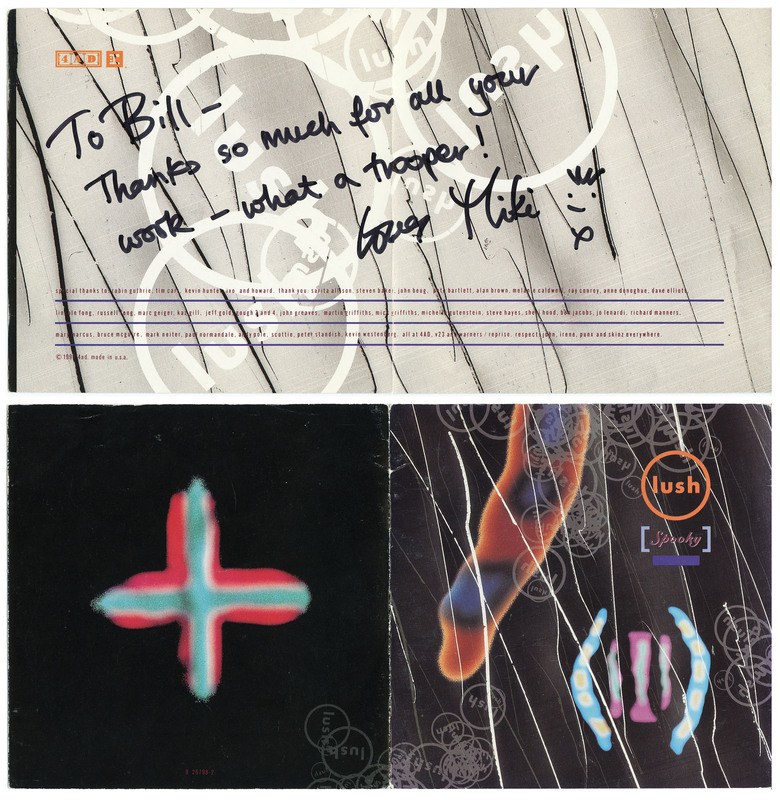 I suspect some of these were signed during a meeting at 4AD's offices to discuss re-issues. 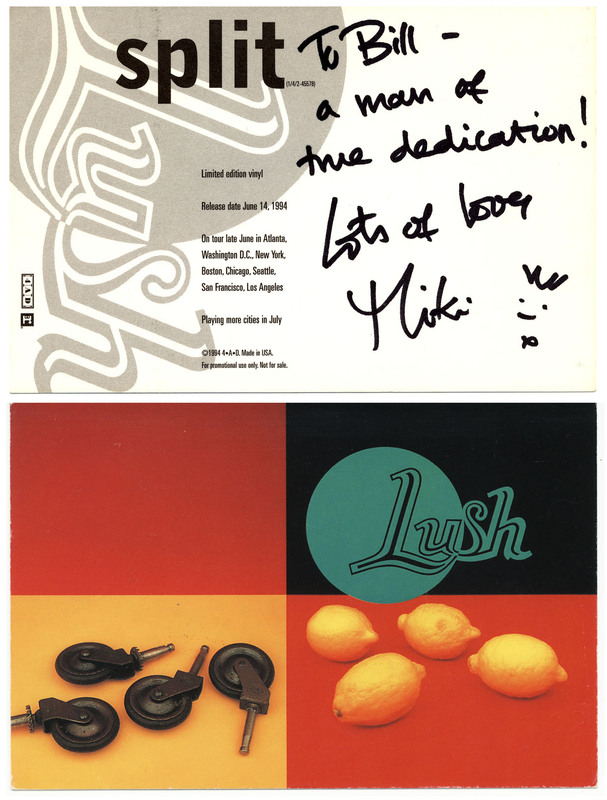 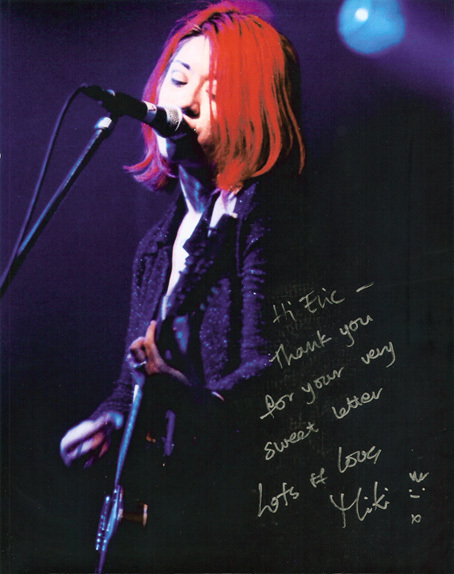 Miki sent me these signed items in June 2008 (along with lots of other memorabilia such as tour laminates, postcards, and most of all her personal gig list) to thank me for creating this website. 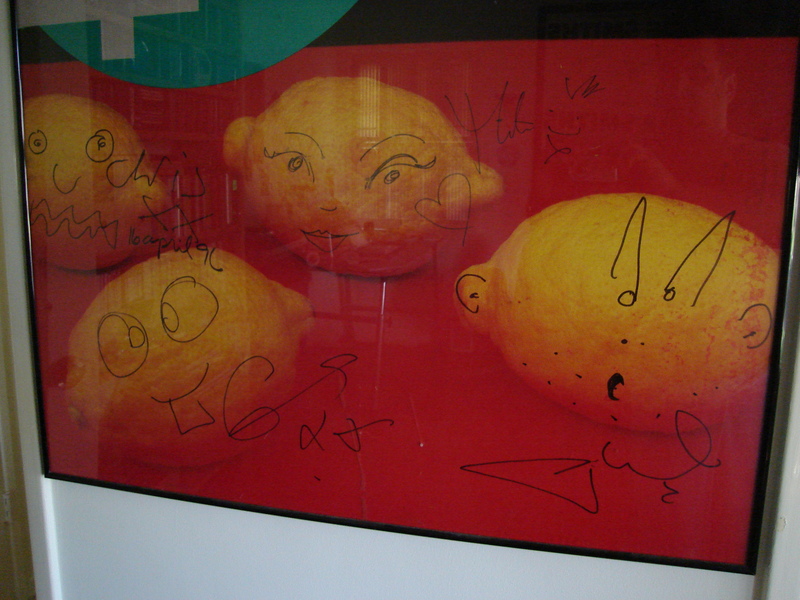 She did this totally on her own, with no prompting from me. 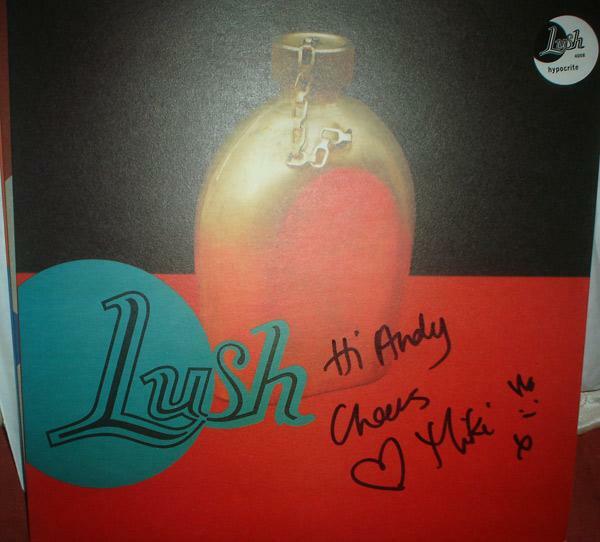 Typical Miki, yet another example of what a kind and generous person she is.